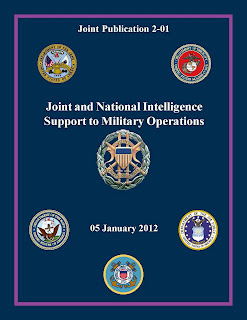 Steven Aftergood at Secrecy News had a recent post highlighting the new Joint Publication 2-01 "Joint and National Intelligence Support to Military Operations" published on January 5, 2012 (available from the Federation of American Scientists here and also on DTIC here). 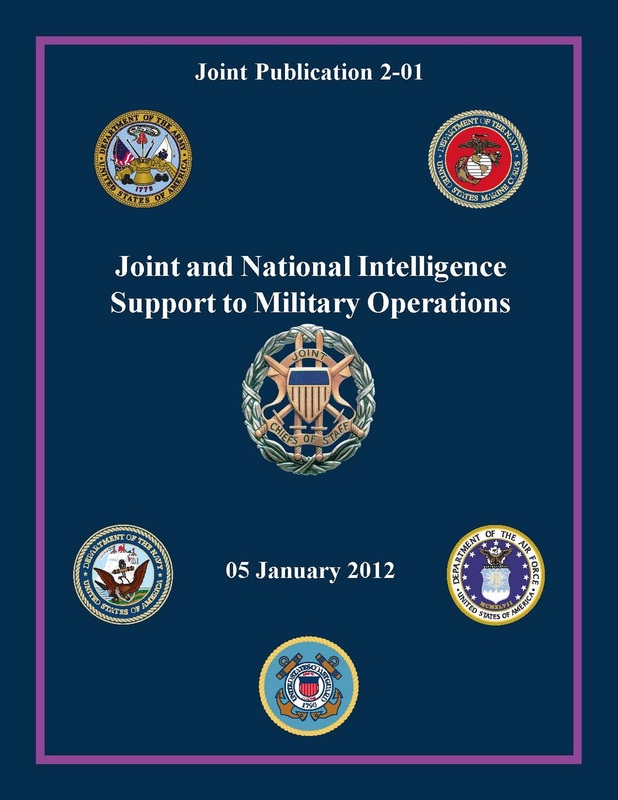 The document was "prepared under the direction of the Chairman of the Joint Chiefs of Staff" and "provides doctrine for joint and national intelligence products, services, and support to joint military operations." The forensic and biometric exploitation of captured or acquired documents and media may also result in the development of FEI and/or BEI data and products to support urgent information needs and operational planning. To see the forensic exploitation of a captured document take a look at this report from an FBI lab that tests a number of seized documents for fingerprints. Acquiring units need to protect material in its captured form and document and report the capturing unit, date, time, place (preferably grid coordinates), and circumstances of capture. Original documents should never be altered, marked upon, or separated from the batch to which they belong. . . . When at all possible, DOMEX facilities should be fire-protected, have humidity and temperature control systems . . . . Once exploitation is complete, documents should be moved to a storage facility for long-term storage, returned to the capturing unite, or disposed of as directed by the supported command. Documents designated for destruction should be handled in the same manner prescribed for US classified documents to preclude compromise of US and multinational interests.